Costume jewellery thrifted is a great excuse for shopping on a budget-try it!! MAry Portas needs to hire you for the campaign! Ahh thats such a lovely ring! 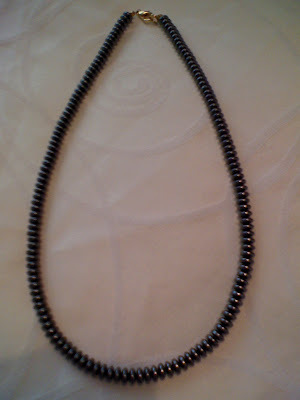 I really love haematite! The becklace and that ring is really lovely. I really like that you still have that ring from Turkey, from all those years ago! love them!! you are really now into jewerly aren´t you? Beautiful pieces, especially your ring! the ring is so unique. I love beads like that. 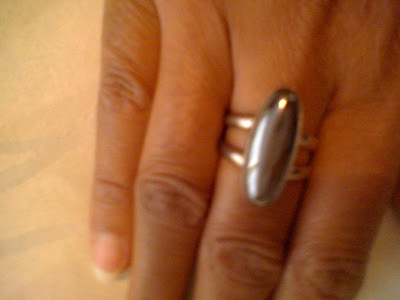 and the ring is beautiful too. Thanks so much for the note. I hope you have a fabulous weekend. Hi everyone-thanks so much for the lovely comments, all very much appreciated! Hematite is such a beautiful, stylish but mysterious-looking stone! Great find! Hi Anusha-thanks so much my dear! !